Hubby and I are renting an unfurnished flat here in Kuwait. It is lamentably bare but it has the basics that we need to live comfortably, i.e. hubby had managed to install a sturdy bed before I first set foot on our humble abode. But I can allow a brief spurt of these creative juices to escape my mind one in a while (especially when it is hubby’s pay day), thanks to Sweden for their greatest invention – IKEA! Since most, if not all, of IKEA’s furniture pieces are designed to be assembled by the customer the products they sell are relatively cheaper than those pre-assembled furniture sold in other stores. And I just love to wander about their showrooms as they provide fresh and creative ideas on how to decorate and organize our home. It is truly a haven for budget conscious start up couple like us. Every week I drag hubby to the IKEA store at The Avenues to scout for lovely furniture pieces that I can squeeze into the budget that hubby has kindly set aside from his pay check for this new hobby of mine. Though the LED TV swallowed a huge chunk out of this month’s budget, I still managed to buy these furniture pieces, which we (yep I did help him) cheerfully assembled during the weekend, and some fixtures that only hubby could install. 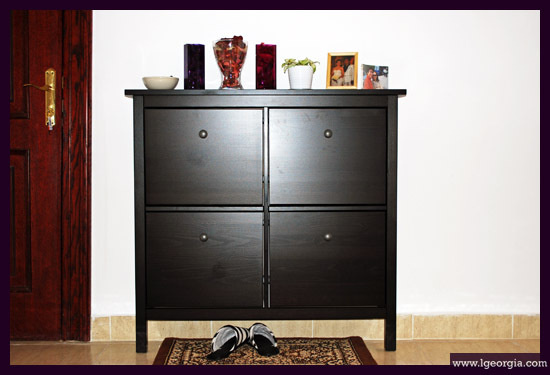 A shoe cabinet that both of us assembled. He did the whole thing except screwing the knob of each four drawers in place. See our marriage is a partnership. We are both excellent team players. Each drawer can hold 3 pair of shoes at most. I know this is not enough for all of my shoes but this will do for now. 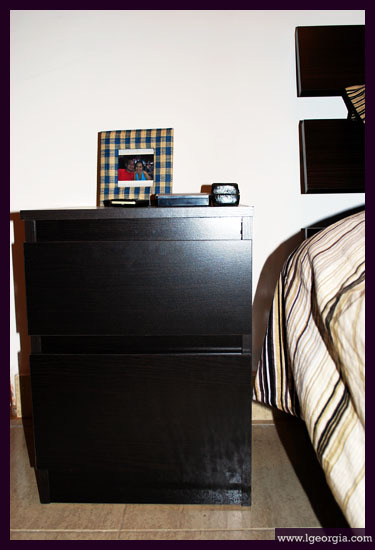 A bedside table that costs less than 10 KWD. This is my masterpiece. I assembled it alone. Oh okay, most of it. Like, 95%. Well hubby has to help me undo some screws and redo the whole thing from step #3. Not my fault one page of the manual got lost under the carpet. 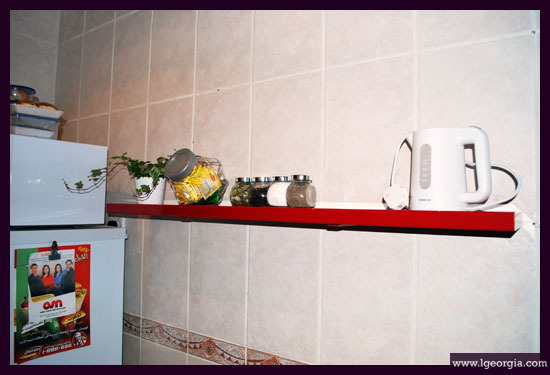 A kitchen shelf. I chose red to liven up the place a bit. This is a real kitchen organizer. 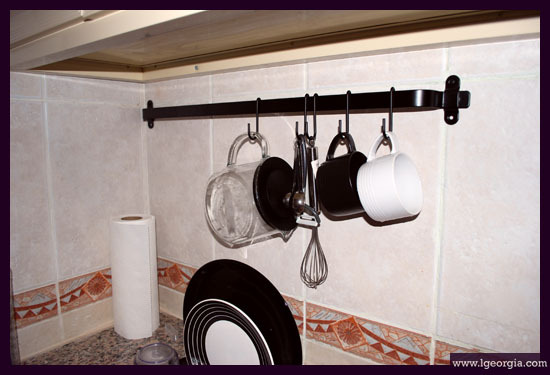 I asked hubby to install this rail near the kitchen sink. I'm so glad I chose a husband who knows how to use a drill. Okay got that. Will add your new blog sites. Thanks for adding mine! Wow Dubai ka pala. Lapit lang tau!